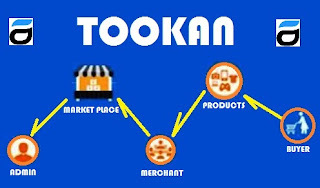 JungleWorks, the leading all-in-one technology suite for on-demand businesses is pleased to offer a new 'Tookan Missions' feature in its B2B offering - Tookan. Tookan Missions is a technological solution that will assist with managing field service operations. It aims to impact the customer in a variety of ways, giving the field workforce and their managers technological solutions for building a better consumer experience. A Mission consists of multiple tasks belonging to multiple workflows (Pickup & Delivery/ Appointments/ Field Workforce), spanning across multiple days and each task could be assigned to multiple agents. So, if a business has such a diverse need, then instead of creating multiple individual tasks, it can create just one 'Mission'. Once the Mission is dispatched for an assignment, the agents are assigned corresponding to their workflow. As the Mission is in progress, one can track the overall status of the Mission as well as the status of the individual tasks within each Mission. JungleWorks aims at providing the best customer experience for entrepreneurs and existing businesses. The idea is to simplify the operational process and ensure that businesses can do all their work on one platform without any complexities of multiple apps.